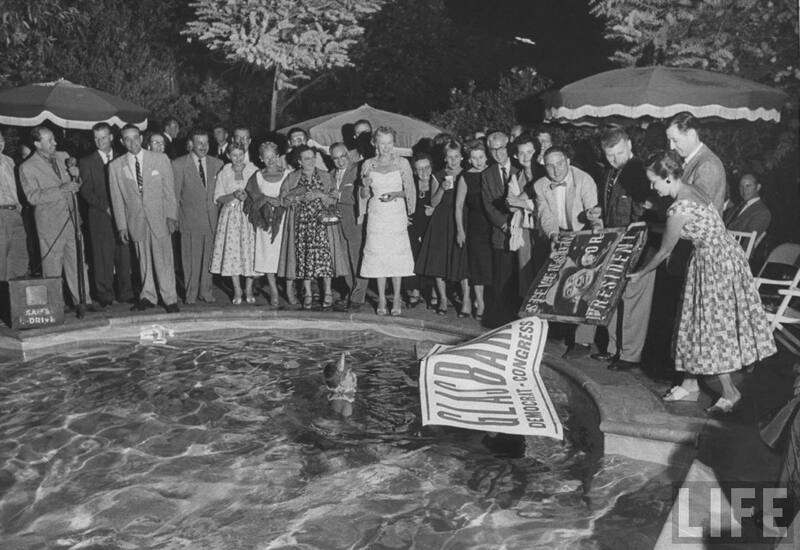 People handing campaign posters to children in swimming pool. Note the electric microphone and speaker placed at water’s edge while a child swims in the pool. ← Journal of American Progress.